Synopsis: Bud and Lou find themselves pursued by an Egyptian cult for a special medallion linked to a walking mummy. Abbott and Costello Meet the Mummy was the comic duo’s last picture for Universal, and their penultimate one together, so it’s quite surprising that it holds up quite well when compared to their other output from this period. The jokes are mostly unoriginal, having appeared in almost every Abbott and Costello movie from the previous ten years. You know the stuff: tubby little Costello repeated stumbling across dead bodies that mysteriously disappear whenever he finally convinces stringy Abbott to come and see. Costello stares at the camera and huffs as if he’s struggling to breathe while holding down his hat with one hand, and Abbott slaps him around the face whenever he gets the opportunity. The plot sees them in Egypt, looking for a way to get home to the States. They overhear an archaeologist, Dr, Zoomer (Kurt Katch), speaking of the mummy called Klaris that he has found and so they visit his home hoping to get jobs escorting the mummy back to America. Unfortunately, when they arrive at his home, they discover that the doctor has been murdered by a cult that worships Klaris and, as usual with these plots, the police mistakenly suspect the boys of the crime. When Costello accidentally eats a sacred medallion, the boys become involved with the various parties hunting for the mummy’s tomb. To be honest, the plot is immaterial. Abbott and Costello had a small repertoire of tricks which they repeated over and over, and all of them are present and correct here. There are a few funny moments here and there, and for once the boys exercise some restraint and resist the temptation to stretch out each joke way beyond its — and our — endurance. 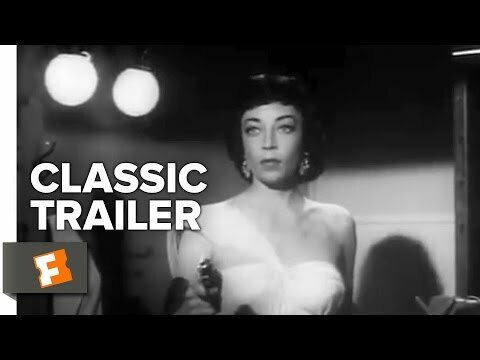 Marie Windsor provides some welcome class as a ruthless adventuress but is largely wasted, but then, let’s face it, no Abbott and Costello movie is going to stretch an actor of any quality. 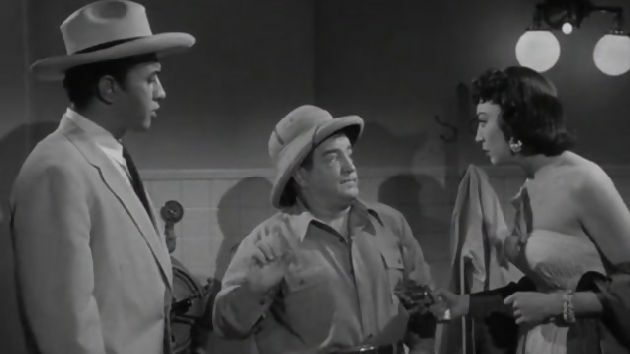 By the end of Abbott & Costello Meet the Mummy we end up with three mummies wandering around, scaring one another with some predictability, and providing the audience with limited amusement.